10,000 flexible handcuffs. 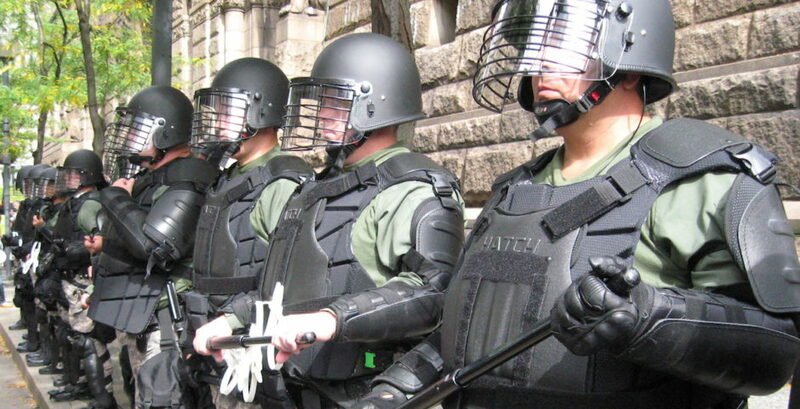 2,000 sets of riot gear. 2,000 steel batons. 325 sets of tactical armor. 25 rifle-scopes. 18 portable defibrillators. 10 flexible stretchers. That is just some of what Cleveland has spent $50 million on in preparation for the upcoming Republican National Convention that will take place this coming week. There is a lot of weariness concerning the protests over presumptive nominee Donald Trump and the Republican Party as a whole, which is clear to see by Cleveland investing so much money in it’s security forces. They have even identified jail facilities to house over than 975 arrested protesters, decided to keep the courts open for 20 hours everyday to process any possible cases that may occur, and have brought in thousands of officers from as far as California. Although their goal is to keep things as peaceful and smooth as possible (they have prepared for this for over two years), the tensions between the two groups in our country today leave us in an unpredictably violent environment. Over the last few weeks, there have been protests all over the country. Some peaceful. Others violent. There have been several arrests at these protests, but it is expected none will compare to those which will likely occur in Cleveland next week. To put this into perspective, Tampa, Florida spent roughly only $13 million in security at the 2012 Republican National Convention. But there is also reason for us to be concerned not just about violent protesters, but the police itself. One of the biggest concerns is that police officials have said that when in riot gear there will be no body cameras since there is an inability to attach the cameras to said riot gear. They have said there will be law enforcers who will record demonstrations through other means in the body cameras’ absence, and they will only change into riot gear if need be. But the biggest criticisms are that it could easily open up a large grey area if officers end up having to put riot gear on, and if these altercations could easily be recorded with this other equipment all this time then what was the point in investing so much into body cameras? Moreover, the Cleveland police department has been superintended by a federal monitoring team since last autumn due to a history of excessive force among other abuses which calls for concern over their ethics. Of course the concern of body cameras is only relevant if protesters clash with the police. And although there are promises to “only escalate according to the need, and done so appropriately”, it is hard to say what will happen. All I have to say is, personally, that although there is a big divide between the police and the citizens, however you want to believe it’s been wedged, the safety of everyone at these demonstrations matter very much. If you are protester who becomes unjustifiably violent, you have no right to criticize the violence in this country and must face the consequences. And if you are police officer who abuses your power or mishandles altercations, you should reconsider your career path and must face the consequences as well. 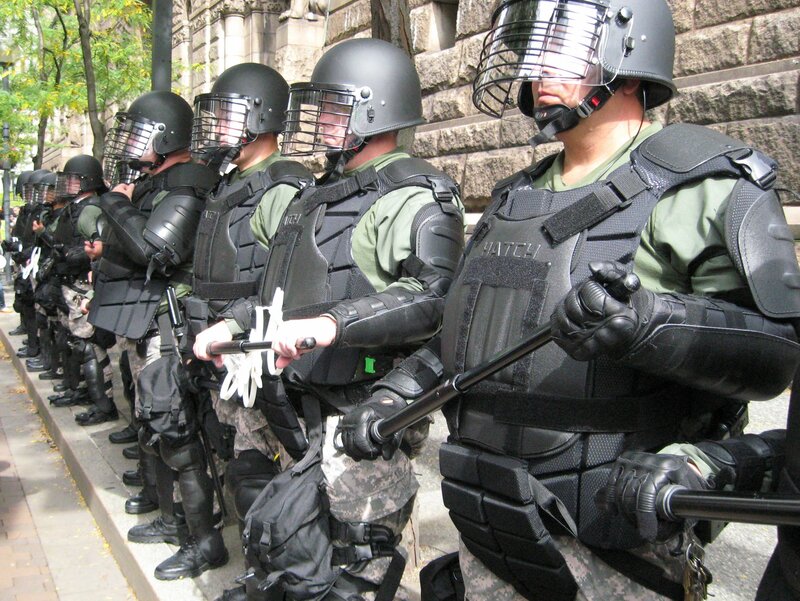 Let us hope the Republican National Convention can safely take place with peaceful protests and diligent law enforcers, and no flexible handcuffs, steel batons, and other equipment. Especially the stretchers.